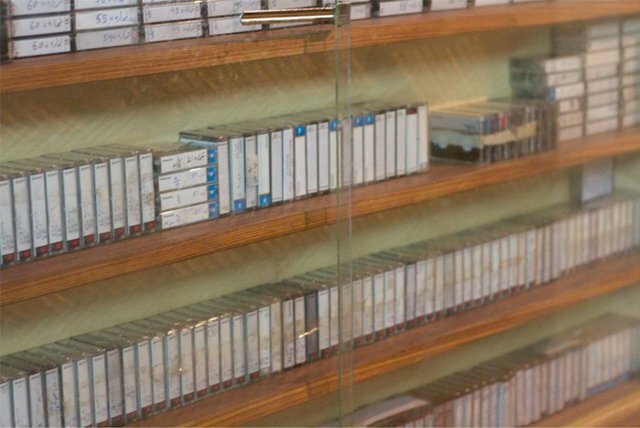 Tapes from a partial digitization project initiated by INA in the 1990s. Photograph by Mariam Ghani. An archive is often viewed as a record of sorts: a collation of historical documents that orders and records information about people, places and events. This view has nevertheless tended to obscure a crucial aspect of the archive and the archival process: it is not only unstable and subject to the vagaries of time and history, but the physical archive and the process of archiving is as much about determining the future as it is about defining the past. For Platform 006, Ibraaz asked a relatively simple but far from simplistic question: what role can the archive play in developing and sustaining a critical and culturally located art history? In posing this question, we were looking to elaborate upon a number of different elements, not least the innate instability of the archive as both object and process. Has the lack of a definitive archive of modernist art across North Africa and the Middle East, for example, left significant gaps in the art historical knowledge of local practitioners and international epistemologies? Has this, in turn, rendered the pursuit of art historical research peripheral to the region’s overall history, present-day concerns and the future of art as a practice, not to mention the international curatorial demands placed upon present-day practices? If the archive does indeed define an ambivalent potential horizon of engagement and understanding rather than merely recording the past, then how do art practices engage, negotiate, contest and define their present-day relationship to the archive and the processes of archiving? What role, moreover, has the archive played in the work of contemporary artists across North Africa and the Middle East? Has it fostered a nostalgic fetishization of knowledge and historical events? Why, furthermore, is there a predominance of artists in the region with a specific interest in the archive as a repository for cultural knowledge and, coextensively, as a means of questioning any certainties associated with knowledge? All of these questions and more became key to the many responses we received to our initial question, including analyses from Nada Shabout, Mounir Fatmi, Laura U. Marks, Mohamed Abdelkarim, Héla Ammar and Ian Almond, amongst others. The questions posed by Platform 006 are, of course, complex and invite other related forms of enquiry. For one, does an emerging regional interest in archives not only reflect wider tendencies in the conceptual interrogation of their legitimacy as documents but also – to relate practice to broader political and historical concerns – a much more entrenched postcolonial paranoia and distrust about the technology of detailing and recording social, public, cultural and political relations? To this, we may want to enquire further into the role that state and institutional archives can play in not only articulating a shared or collective history, but in disrupting the narrative of accepted histories. As Mariam Ghani observes in the first installment of a series of dispatches on archiving, ‘Field Notes for What We Left Unfinished’, it is not easy nor straightforward to work with an archive in a country like, say, Afghanistan, ‘where books, films and monuments have all been subject to burning; stupas are looted and statues shattered; and sites sacred for one reason or another are eroded by both natural and human disasters.’ If the material reality of the archive, its points of reference, is subject to change, then its immaterial narratives are subject to similar, but more discursive, forces. Then there is the attendant issue of the archive’s radical instability, if not vulnerability, to time and circumstances: the sense that it is posited as both a bulwark against change while being constantly subjected to the exigencies of history. 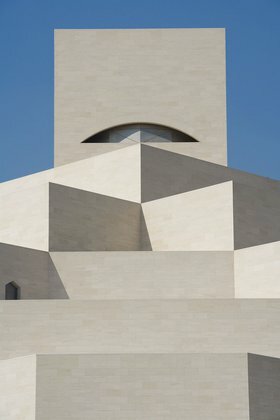 Museum of Islamic Art, Doha, Qatar. Copyright Museum of Islamic Art, Doha, Qatar. On a material (archive) and immaterial level (process), the archive can determine what is seen and what remains remote and beyond access in the present or indeed future. In ‘Housing Archives: When Buildings Become Part of the Record’, Tsolin Nalbantian recalls her time in Beirut working with the archives of the Armenian Church as part of her PhD research. During the course of this research, she explored the fashioning of Armenian identity in Lebanon in the 1940s and 1950s and subsequently came across a building in which archives – stored in boxes that once shipped cigarettes from America to Lebanon – had been abandoned to chaos. The disorder of the documents she found there presented Nalbantian with a vision of the archive – perhaps in its primal, unguarded sense – that continues to haunt her research. Nalbantian’s essay, in its exploration of both the abode of the archive and the spectre of the archive, finds further purchase in Walter D. Mignolo’s comparison of the Islamic Museum of Art in Doha and the Asian Civilizations Museum in Singapore. For Mignolo, the singularity of the archive and its will to knowledge production determines a narrative that transcends the status of ‘fictional narrative’ and becomes ontological – or, as he puts it, a ‘reality’. To suggest such lines of investigation is to recall that the archive produces events as much as it records them. Indeed, it is these events and moments that determine the forms and parameters within which future generations can access and question knowledge. The archive, as Jacques Derrida noted in Archive Fever: A Freudian Impression (1998), is not only a radically unstable form of inscription, it is also always haunted by the vertiginous moment of inscription and the tenuous traces of its own ontological coming into being. In its processes of writing and recording, the archive, to put it more simply, presents us with the very means of its own indelible vulnerability to reinterpretation, if not its fallibility as a document. 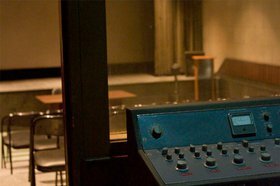 In Shaheen Merali’s ‘The Spectre (of Knowledge): The Recordings of the Cosmopolitan’, he compares the archive to a ‘ roaming spirit – a visible but disembodied entity’. It is in this unstable, haunted state that the archive’s susceptibility to re-inscription is produced, and it is this moment that presents the artist with the opportunity to negotiate and rewrite, visually or otherwise, the archive as a reality in waiting. 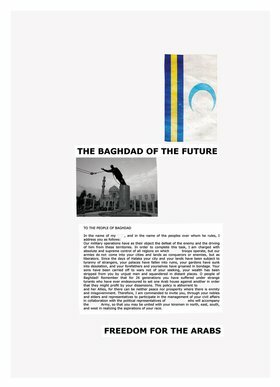 But, if the artist has indeed become an unreliable archivist – spinning the essence and ambivalence of the archive into formal and conceptual of uncertainty – then it is in artistic practices, as we see in Rana Hamadeh’s interview, that we find how far we can usurp the terms of the archive’s historical usefulness and applicability in the name of productive inconclusiveness. In thinking about the artist as an archivist, Lucien Samaha presents his own somewhat idiosyncratic approach to archiving and indexing through the ordering of his vast photography collection to become a reflection of his own life story, both in a project for Platform 006 and an extensive two-part interview with Walid Raad. Recalling the stirrings of his career as a photographer, which spans some forty years (and has passed through a number of phases and personal life moments, including being a DJ, a flight attendant, and as a staff member at Eastman Kodak Company), Samaha recalls how he indexes his personal archive. He does this often by inviting friends to go over past images to provide keyword and names of those they once knew. The archive here is an interactive apparatus, open ended and subject to personal, subjective choices and alternative modes of application. The Times (UK), 1917. Freedom for the Arabs, The Baghdad of the FutureFrom the series Siege of Khartoum, 1884 (2006), by Maryam Jafri. Archival ink jet print. A1 size (23.4 x 33.1 inches). However, as Walter D. Mignolo argues, the danger of the archive is that it has a tendency to produce a single story or lineage, no matter how idiosyncratic. Samaha avoids this by leaving the archive open to interrogative interjections if not outright objections. Likewise, as Sheyma Buali writes in her introduction to an interview with Jumana Manna, archives can often present spaces in which ‘histories are simplified, placed within vacuums of loosely defined regional and nation-state borders where nuances are overlooked.’ In response, the work of Jumana Manna subverts this ‘by allowing her audience a window where histories become cross-continental networks, exposing the sometime unsettled subtleties of relationships.’ The same could be said of many artists who have contributed projects to Ibraaz Platform 006, including Ali Cherri and Maha Maamoun. Again, the questions raised here return us to the issue of which archival forms can be adopted and adapted to the nuances of the present-day, not least when we consider emerging technologies of storage, dissemination and interpretation. The production of knowledge, even in the form of a partial snapshot or comprehensive archive (if that is not a contradiction in terms), would appear to be rife with technological determinants, institutional distortions and interpretive cul-de-sacs. These issues have not only become attenuated by forms of digital and virtual technology, but also predefined by them. The virtual archive has also enabled forms of manipulation that have offered a salutary reminder of the power systems knowledge can harness. In this moment, the archive has offered artists and cultural practitioners a considerable resource for exploring and interrogating precisely such forms of knowledge and power structures. This underwrites another, perhaps more radical, question: can contemporary visual art produce forms of archived knowledge to counter the instrumentalized, often monetized, politicized forms of knowledge that drive the neoliberal will towards global hegemony? If so, to what use can that knowledge be put? We should, of course, be wary here. Why should art have to do anything at all in terms of producing knowledge or otherwise? Moreover, in expecting art to do so, are we not defining a utilitarian attempt to territorialize the more radical elements of art as a practice? Could we not observe that art does not need to have a function per se and can, thereafter, realign and reimagine the very idea of archival functionality? Since 2011, Shuruq Harb has shown her archival project, The Keeper, as a performance- lecture, a book, a video and a sculptural installation in a gallery setting. The Keeper contains over 2,000 printed images, sweeping from celebrity headshots to propaganda, that were originally part of a larger collection compiled by Mustafa, a young ‘image entrepreneur’ (Harb chanced upon him one day in Ramallah) who collected photographs online to be printed for sale on the streets of that city. These 2,000 images are the leftovers of his ten-year profession, as Fawz Kabra outlines in her essay on Harb’s work, observing in turn the sensibility that artists bring to otherwise vernacular or overlooked archives. Harb’s project, in many ways, relates to what Adelina von Furstenberg notes in her interview for Platform 006:that the discussion around history and memory is wholly related to the future and not the past. Archiving, in sum, not only brings knowledge into existence (and thereafter subjects it to enquiry), but also determines and prescribes what relationship this knowledge might have to the future. Central to this is the question we began with: what role can the archive play in developing and sustaining a critical and culturally located art history that not only speaks to the past but to the present and the future? Furthermore, how might we expand on the practice of archiving so that it might produce alternative practices and, indeed, histories? To this we must enquire, finally, how contemporary art practices negotiate the potential and pitfalls of the archive as source material. That, furthermore, would seem to be precisely the point of much artistic activity that engages with the archive. And central to this is a demand that we engage with archival knowledge and the forms it takes both in the past, the present and, crucially, the future. This returns us, by way of conclusion, to the original question: how do archives affect the present-day production of cultural knowledge and what can they teach us about its sustainable production? Downey, Anthony. “Archival Dissonance.” Ibraaz. Ibraaz, 6 Nov. 2013.